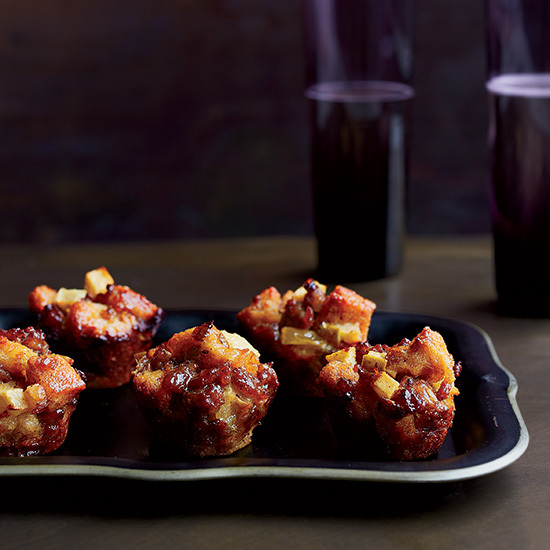 Stuffing, meet muffin tops. Even if you're a diehard fan of stuffing-inside-the-bird (*just make sure to cool it first), this brilliant take on a sausage-and-apple stuffing recipe is a great back-up and provides the ultimate in portable leftovers. Watch the clip to see how to make these adorable Thanksgiving muffins and consider adapting the technique for your own favorite stuffing recipe—just make sure you grease the pan.